I am here speaking at FITC Web Unleashed as well as running a CSS Layout Workshop here. It has been a fun event so far, although I am looking forward to today when I don't have to speak and can just enjoy the conference. My slides from yesterday are included in this email. Thank you to sponsor Vivaldi this week! The slides and resources for my new talk, presented first at FITC Web Unleashed here in Toronto. I used lots of little videos in this talk for the first time as our platform for speakers Notist allows me to embed the video in the slide deck. A useful guide to lazy-loading images, a technique that helps improve the time it takes for a web page to load by deferring image loads until they are needed. A very detailed post about stacking contexts in CSS. Something I have been working on for MDN is the CSS Layout Cookbook. The idea being to create example code for common design patterns. I will be adding to this over the next few weeks. A post about measuring layout performance on the web, explaining why it is hard to measure style and layout. Jen Simmons talks about Intrinsic Web Design on the Shoptalk Show podcast. Vivaldi — Your browser matters. Take Control. A browser is used by everyone, everywhere – making it the most important tool on your computer. Vivaldi helps you do more of everything you love faster, easier, and safer. 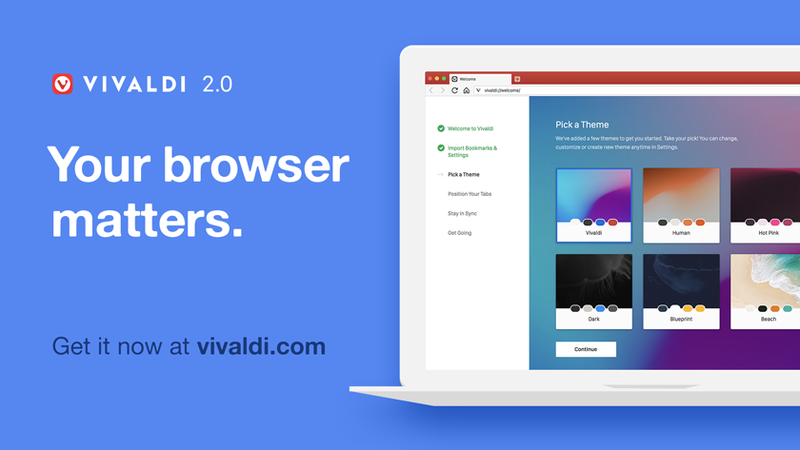 The vision of Vivaldi is simple – you should be in control of how your browser looks, feels and works. It should adapt to your style, have the features you need and be built with values you can stand by. That’s why we give you the power to tailor the browser per your interests, passions and personality. Vivaldi respects your privacy and has a straightforward approach – it does not track you.